The fully-professional theater is equipped for music, theater and dance productions plus film presentations. 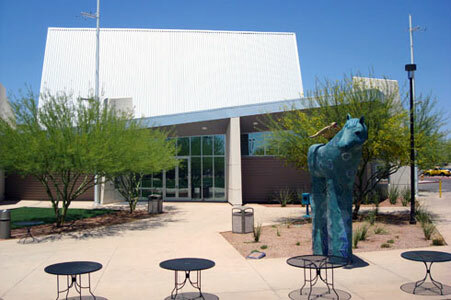 The Center for the Performing Arts is conveniently located at 34th Street and Union Hills at the east end of the campus of Paradise Valley Community College in North Phoenix. Our campus is located on the SE corner of 32nd Street and Union Hills Road in North Phoenix. The CPA is located near the 34th Street and Union Hills Road entrance into the campus, which is one block west of the SR-51 and one mile south to the Loop 101/SR-51 interchange.